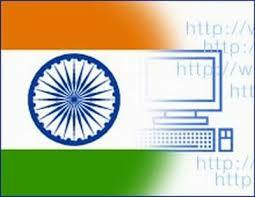 The Indian government has approved an umbrella programme Digital India worth about 1 lakh crore to transform the country into a digitally empowered knowledge economy. The programme will be comprised of various projects aimed to ensure that government services are available to citizens electronically and people get benefit of the latest information and communication technology. “This is a follow up to the key decisions taken on the design of the programme during the meeting of the Prime Minister on Digital India Programme on August 7, 2014, and to sensitise all ministries to this vast programme touching every corner of the government,” Telecom Minister Ravi Shankar Prasad said after a Cabinet meeting. The programme will be implemented in phases from the current year till 2018. “This scheme will include projects of all ministries. The budget of this programme will go up to Rs 1 lakh crore. Already budget provision exists for various programmes. If there is more requirement, then it will be given consideration by the government,” Prasad added. The vision of government under Digital India project includes creation of ICT infrastructure like high speed Internet at gram panchayat level, on demand availability of government services like health, education etc, and digital empowerment of citizens specially through digital literacy. A committee headed by Prime Minister Narendra Modi will monitor the programme and the approval for the project will be accorded by the Cabinet Committee on Economic Affairs (CCEA).